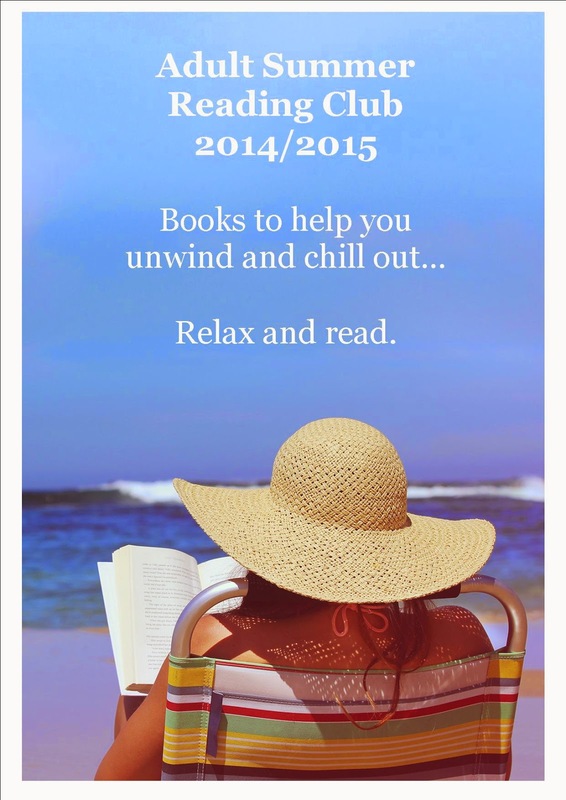 Calm your frazzled nerves with a book! can reduce your stress levels by two thirds. 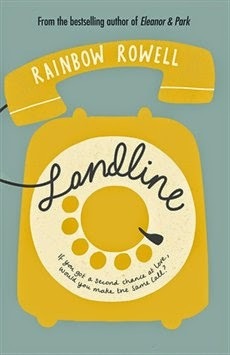 In New York Times bestselling author Rainbow Rowell's Landline, Georgie McCool knows her marriage is in trouble. That it's been in trouble for a long time. She still loves her husband, Neal, and Neal still loves her, deeply -- but that almost seems besides the point now. Maybe that was always besides the point. Two days before they're supposed to visit Neal's family in Omaha for Christmas, Georgie tells Neal that she can't go. She's a TV writer, and something's come up on her show; she has to stay in Los Angeles. She knows that Neal will be upset with her -- Neal is always a little upset with Georgie -- but she doesn't expect to him to pack up the kids and go home without her. When her husband and the kids leave for the airport, Georgie wonders if she's finally done it. If she's ruined everything. That night, Georgie discovers a way to communicate with Neal in the past. It's not time travel, not exactly, but she feels like she's been given an opportunity to fix her marriage before it starts. Is that what she's supposed to do? Or would Georgie and Neal be better off if their marriage never happened? After noticing his identity has been stolen and used to create various social media accounts, a man with a troubled past, Paul O'Rourke, begins to wonder if his virtual alter ego is actually a better version of himself. "Paul O'Rourke is a man made of contradictions: he loves the world, but doesn't know how to live in it. He's a Luddite addicted to his iPhone, a dentist with a nicotine habit, a rabid Red Sox fan devastated by their victories, and an atheist not quite willing to let go of God. Then someone begins to impersonate Paul online, and he watches in horror as a website, a Facebook page, and a Twitter account are created in his name. What begins as an outrageous violation of his privacy soon becomes something more soul-frightening: the possibility that the online "Paul" might be a better version of the real thing. As Paul's quest to learn why his identity has been stolen deepens, he is forced to confront his troubled past and his uncertain future in a life disturbingly split between the real and the virtual. At once laugh-out-loud funny about the absurdities of the modern world, and indelibly profound about the eternal questions of the meaning of life, love and truth, TO RISE AGAIN AT A DECENT HOUR is a deeply moving and constantly surprising tour de force"
On June 14th, 2007, the King and Prime Minister of Sweden went missing from a gala banquet at the Royal Castle. Later it was said that both had fallen ill: the truth is different. The real story starts much earlier, in 1961, with the birth of Nombeko Mayeki in a shack in Soweto. Nombeko was fated to grow up fast and die early in her poverty-stricken township. But Nombeko takes a different path. She finds work as a housecleaner and eventually makes her way up to the position of chief advisor, at the helm of one of the world's most secret projects. Here is where the story merges with, then diverges from reality. South Africa developed six nuclear missiles in the 1980s, then voluntarily dismantled them in 1994. This is a story about the seventh missile . . . the one that was never supposed to have existed. Nombeko Mayeki knows too much about it, and now she's on the run from both the South African justice and the most terrifying secret service in the world. 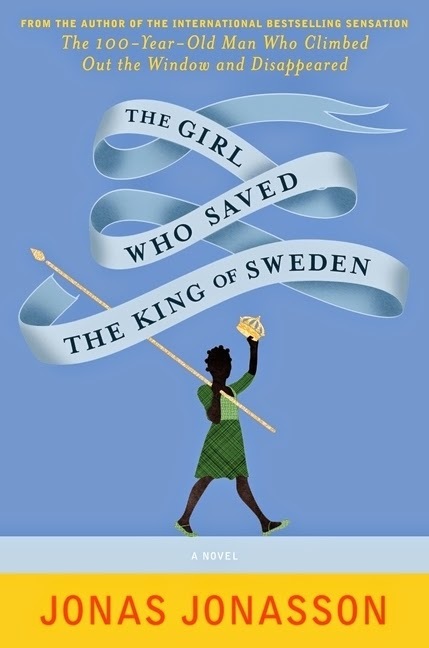 She ends up in Sweden, which has transformed into a nuclear nation, and the fate of the world now lies in Nombeko's hands. Violet's portrait was known to terrify the artists who resided at the house from the 1920s to the 1950s, when it served as the Laurelfield Arts Colony – and this is exactly the period Zee's husband, Doug, is interested in. An out-of-work academic whose only hope of a future position is securing a book deal, Doug is stalled on his biography of the poet Edwin Parfitt, once in residence at the colony. All he needs to get the book back on track – besides some motivation and self-esteem – is access to the colony records, rotting away in the attic for decades. But when Doug begins to poke around where he shouldn't, he finds Gracie guards the files with a strange ferocity, raising questions about what she might be hiding. 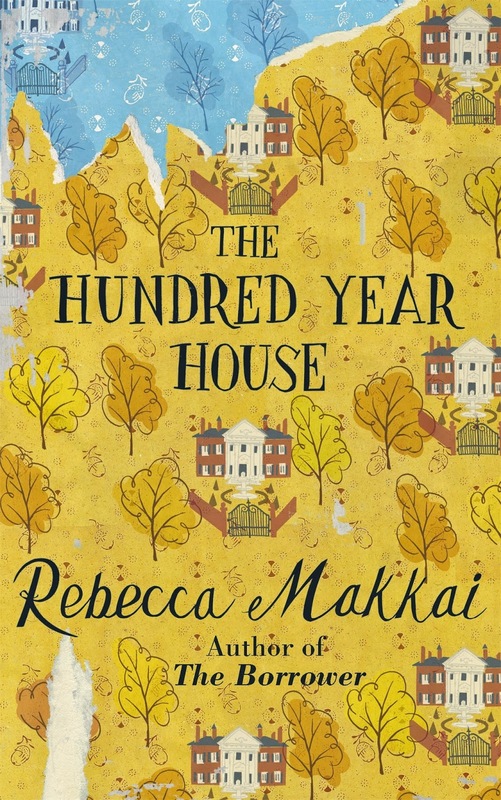 The secrets of The Hundred-Year House would turn everything Doug and Zee think they know about her family on its head – that is, if they were to ever uncover them. Forging a life together after being abandoned by their parents, half sisters Eva and Iris share decades in and out of the spotlight in golden-era Hollywood and mid-twentieth-century Long Island. My father's wife died. My mother said we should drive down to his place and see what might be in it for us. 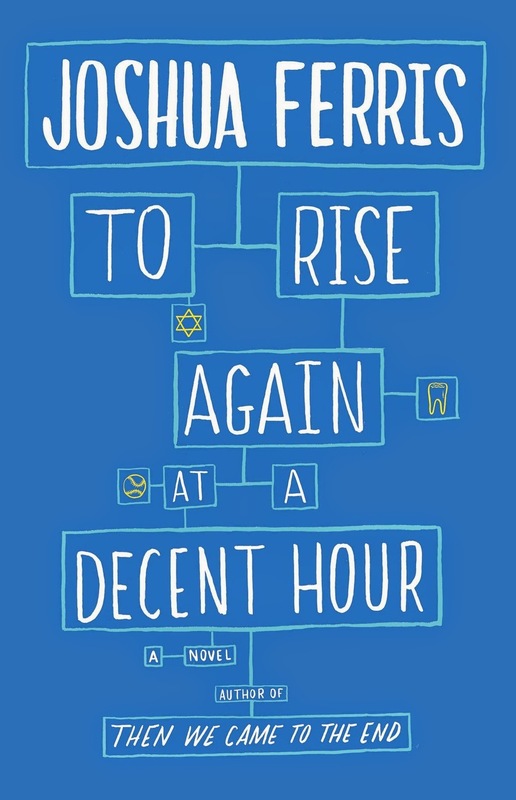 So begins the story of teenage half sisters Eva and Iris in this brilliantly written, deeply moving, and fantastically funny novel by the beloved and critically acclaimed author of Away. Disappointed by their families, Iris, the hopeful star, and Eva, the sidekick, journey across 1940s America in search of fame and fortune. Iris's ambitions take the sisters from small-town Ohio to an unexpected and sensuous Hollywood, across the America of Reinvention in a stolen station wagon, to the jazz clubs and golden mansions of Long Island. With their friends in high and low places, Iris and Eva stumble and shine through a landscape of big dreams, scandals, betrayals, and war. 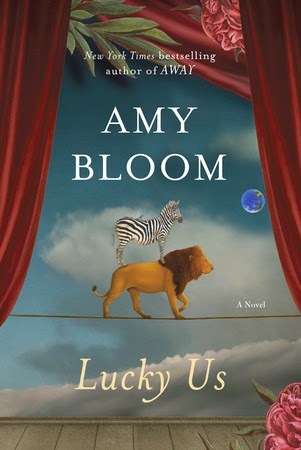 Filled with memorable characters and unexpected turns, Lucky Us is a thrilling and resonant novel about success and failure, good luck and bad, and the pleasures and inevitable perils of family life. From Brooklyn's beauty parlors to London's West End, these unforgettable people love, lie, cheat, and survive in this story of our fragile, absurd, heroic species.